A world on its last legs, driven to the brink of ruin by a force so terrible that not even the fabric of space and time could keep them away. Their voices echoed from the darkness between the stars, calling, beckoning all that was unwholesome and unclean to them. In the gloom of a fetid temple, they were finally released from their outer-dimensional prison back into a world that had forgotten them. The undying hordes had laid beneath the stagnant depths for untold centuries, awaiting their master's call. 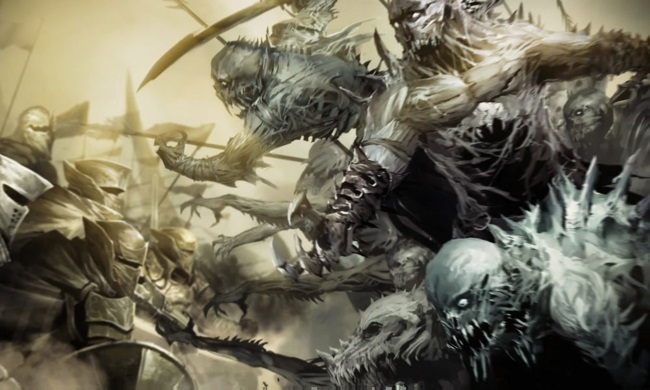 Tens of thousands of restless dead poured from the murky depths of that unholy temple, falling upon the local villages and settlements, sweeping all away in a flood of terror and gore. 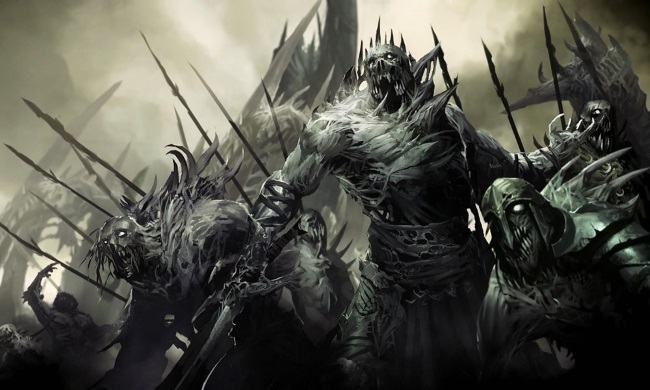 For every soul that fell to the diseased blades of the undead, one more was added to their ranks. Towns, cities, bastions and fortresses fell to them, their numbers swelling from tens of thousands to hundreds of thousands. All of creation was driven back as the black hordes swept over the world. No crevice, no lofty height was safe for with the undead came the other creatures, drawn from the inky blackness of the nether realm. All that was unclean, all that embodied the darkness of the world would heed the call of the Demon Lord.